A huge thank you again to everyone who joined in this months challenge with your fab entries and now it's time to announce the winners. Wow, so many prizes, congratulations to you all, please mail me brenda@ibas.co.uk with your full names and postal addys. Please note that any prizes not claimed within seven days will be re-drawn and the new winners notified by e.mail. I will be back on Sunday with our September challenge and announcing a new way for you to get involved in future challenges. Before I start to introduce myself I want to say a big THANK YOU to the designteam for choosing me for your spotlight-winner. I feel really honoured and it means a lot to me. 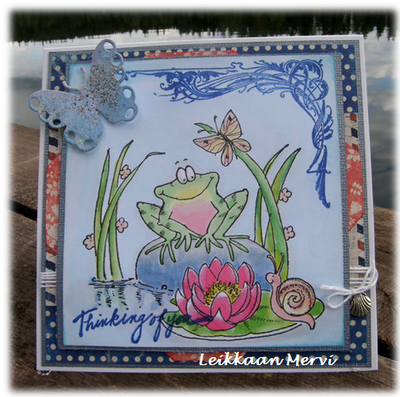 I live in Holland , I’m 48 years young and I started scrapbooking in 2005. Only a couple of years ago I discovered the card-making with stamps. First I used Magnolia’s , but now I am trying different brands. At the moment I love to colour with my distress-ink-refill’s. 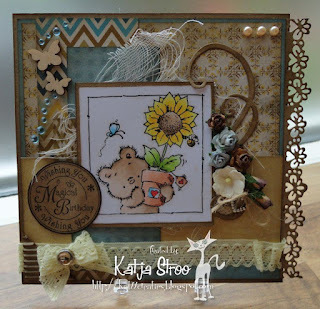 I don’t know how to describe my style of cardmaking …. I like vintage a lot , my colours are never too bright and my cards always seem to be too small for everything I want to put on it. 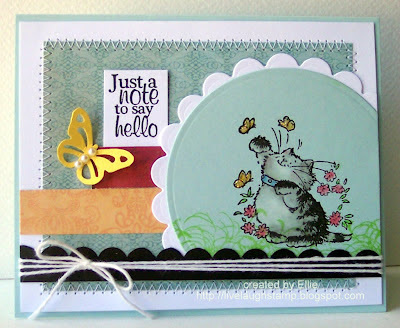 Since I have started my blog I have met so many lovely scrapfriends. It is such a great hobby ! I wouldn't know what to do without it …. Love from Holland , Christa. I've always been doing all sorts of crafting, and I still love knitting and crotetching once in a while, but started paper crafting in the year of 2006 and got hooked! When I started blogging in 2008, my love for paper crafting really hit the roof! There's so many talented crafters/artists out there, and they're all giving me lots of inspiration, along with so many other things around me. 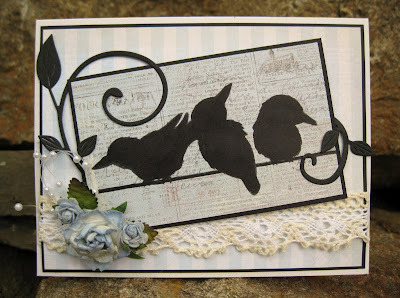 I love the smell of rubber stamps and papers, the beauty in pretty embellishments like flowers, pearls, lace and ribbon, and the relaxing and fun feeling of creating something new and unique. I love colouring images with promarkers, prismacolors and distress ink, and so bringing the caracters in to life. 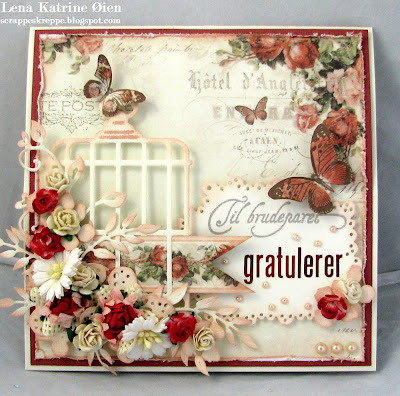 I love trying out new foldings, technics and items, and I'm always trying to develope myself as a crafter. Thank you so much for the space in your spot light! Congratulations to both, please go pick up your 'In the spotlight' sidebar button and display on your blog with pride, it's well-deserved. If you've not already entered this month's challenge or want to add another entry, remember you can enter up to 3 times, then you still have plenty of time to do so. The perfect opportunity to ink up all those critters and beautiful fairies and butterflies. As always you can enter any type of project so long as there is a stamped image predominant on your work following the month theme. You can enter up to three times, but please remember strictly no digi images are allowed, any entries using them will be discounted from the challenge. 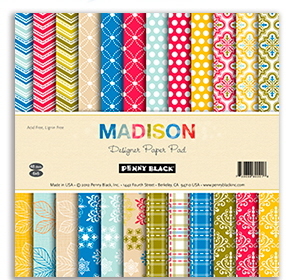 "We are a small family-owned design and craft company from New Zealand. Our main goal is making and selling rubber and clear stamps and we have a unique collection of stamps that you can not find anything else. Don't worry about shipping from so far away, we are very experienced merchants and ship to customer in US, Canada or Europe within a week after payment. We offer a lifetime warranty on our stamps". 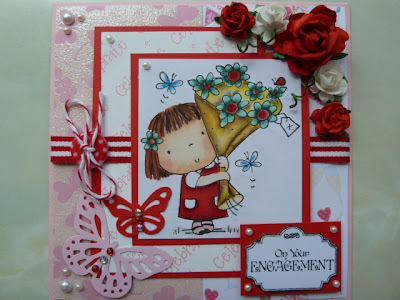 We welcome back Crafts U Love who are well know to lots of us for their well stocked on line store and currently have lots of new Memory Box Spellbinder and Marianne dies on their what's new section here, the lovely new Christmas ones are a must have for your early Christmas makes. 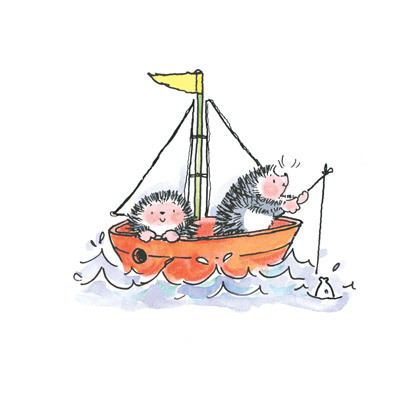 There also some bargains to be had in the stamp section of the web site here. They are offering a £15 store voucher to another lucky winner. Our friends Sir Stampalot are your regular sponsors for the winning entry using a Penny Black stamp. 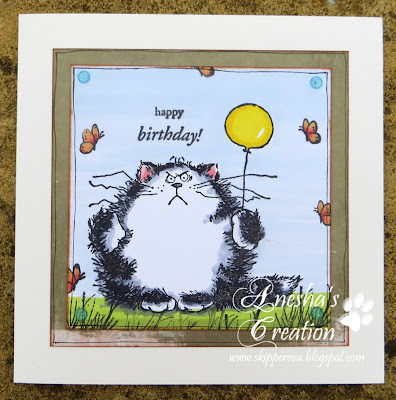 Their re-vamped website is easy to navigate so do go take a look round and you will find all the latest new products here and the new Penny Black stamps which I mention below are already listed in that section. And last but by no means least, Joanna Sheen is back with us again this month and offering another £10 store voucher for to one winner. 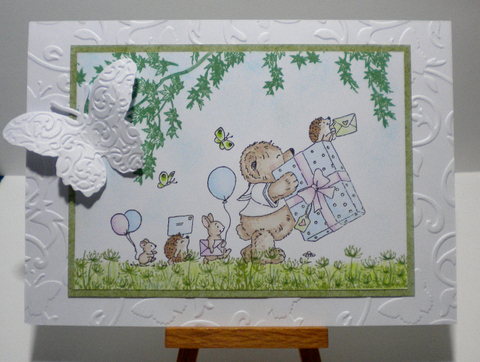 Joanna needs no introduction to most of us and regularly shares her unique inspiration with us on her Create and Craft TV shows featuring her fabulous CD's and stamps. She also has a fabulous on line store full of the latest crafting products and of course everything is sent with free worldwide postage, how good is that ? Now for some inspiration from the Design Team and all have been very clever and incorporated stamped from one of our sponsors Flonz Craft along with their Penny Black's. 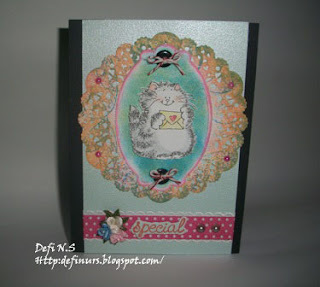 Penny Black garden friends and Flonz policeman and mermaid (corner stamp to create frame around image). Flonz Craft stamps, one of the stamps from the waves, borders vintage set for the background stamping and the greeting is from the Best Wishes sentiment set. 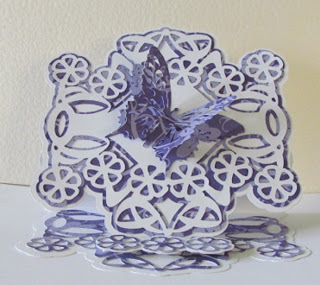 I used a Flonz Craft butterfly from the set called " Three Butterflies". Have fun everyone and we look forward to seeing all your lovely creations. Good evening, hope everyone is OK, to those of your living in the UK I won't mentions the 'summer' weather. Well done and congratulations to you all, please mail me brenda@ibas.co.uk with your full postal addys and go pick up our winners badge from our sidebar to display on your own blogs. I will be back on Sunday with our August challenge so do pop back then and check out what we have in store for you.